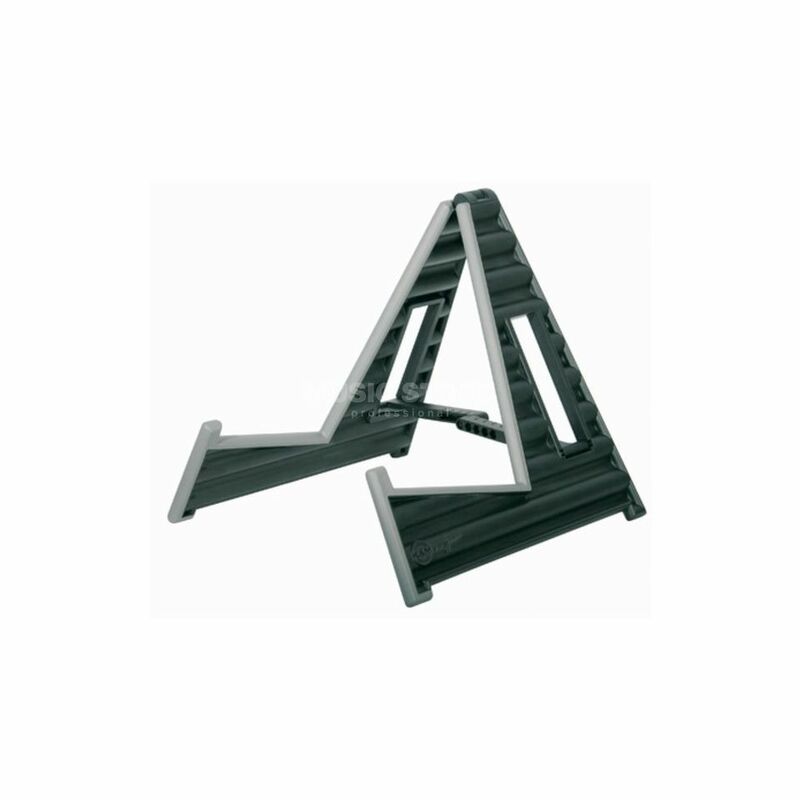 The K&M 17591, Wave 10 is an extremely light, easy to use adjustable acoustic guitar stand. Setting up and folding down this stand can be done with the flick of a hand, thanks to the special folding mechanism. The 5 way width adjustment is dealt with by two cross braces and an inserted screw. High quality corrugated plastic ensures that this stand is very stable, whilst being genuinely lightweight. The stand can also be adjusted to fit French horns, cellos, banjos.